We combined two bunk beds to form an "L" shape that fits perfectly in a bedroom corner. 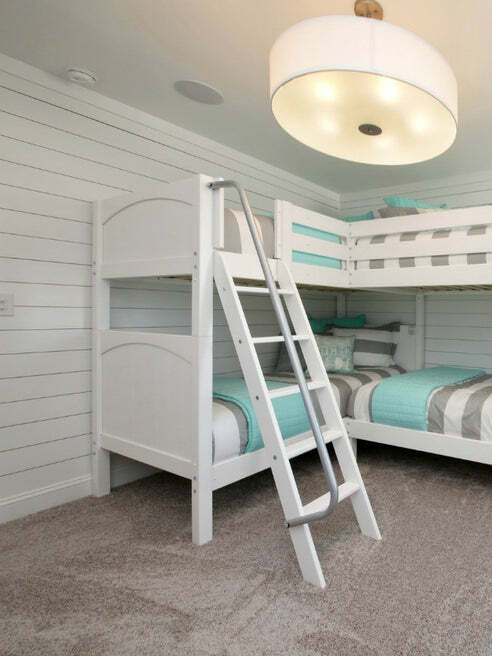 Designed as a space-saving way to sleep four, it’s the perfect solution for a shared bedroom or vacation home. 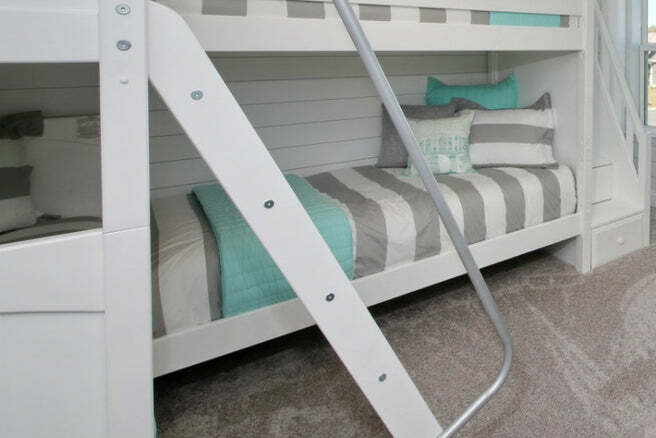 Top bunks each have their own point of access - angled ladder + sturdy handrail on one end, and easy to climb stairs on the other. Added bonus, staircase steps double as drawers for built in storage! High height = ample headroom between top and bottom bunk. Angle ladder sticks out at a slant and features sturdy handrail, making it easier to climb. Staircase is safe for kids and comfortable for adults as well. Plus, each step has a deep drawer for extra storage. Sleep easy - Patented Rock Lock system prevents bunks from wiggling. 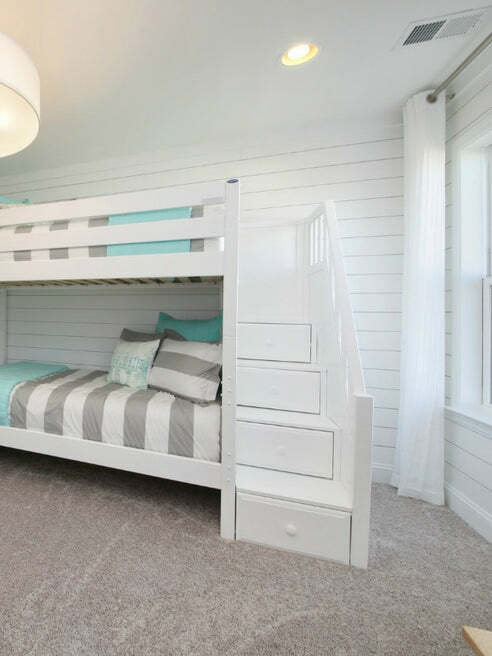 Wooden slats are tested to withstand more than 800 lbs of weight PER bed. ***Please note this design requires the staircase to be assembled on the long side. It can be assembled "mirror image", but cannot be reversed. Overall: L: 140.75" x D: 80" x H: 71"
NOTE: Bed can be assembled mirror image (but is not reversible).